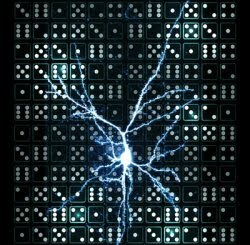 Single neurons in the brain are surprisingly good at distinguishing different sequences of incoming information according to new research by UCL neuroscientists. The study, published in Science and carried out by researchers based at the Wolfson Institute for Biomedical Research at UCL, shows that single neurons, and indeed even single dendrites, the tiny receiving elements of neurons, can very effectively distinguish between different temporal sequences of incoming information. This is the equivalent of a 30- to 50-year-old crew member's muscles deteriorating to that of an 80-year-old. The destructive effects of extended weightlessness to skeletal muscle – despite in-flight exercise – pose a significant safety risk for future manned missions to Mars and elsewhere in the Universe. An American study, led by Robert Fitts of Marquette University (Milwaukee, Wisconsin), was recently published online by The Journal of Physiology and will be in the September printed issue. It comes at a time of renewed interest in Mars and increased evidence of early life on the planet. NASA currently estimates it would take a crew 10 months to reach Mars, with a 1 year stay, or a total mission of approximately 3 years. Fitts, Chair and Professor of Biological Sciences at Marquette, believes if astronauts were to travel to Mars today their ability to perform work would be compromised and, with the most affected muscles such as the calf, the decline could approach 50%. Crew members would fatigue more rapidly and have difficulty performing even routine work in a space suit. Even more dangerous would be their return to Earth, where they'd be physically incapable of evacuating quickly in case of an emergency landing. The study – the first cellular analysis of the effects of long duration space flight on human muscle – took calf biopsies of nine astronauts and cosmonauts before and immediately following 180 days on the International Space Station (ISS). The findings show substantial loss of fibre mass, force and power in this muscle group. Unfortunately starting the journey in better physical condition did not help. Ironically, one of the study's findings was that crew members who began with the biggest muscles also showed the greatest decline. The results highlight the need to design and test more effective exercise countermeasures on the ISS before embarking on distant space journeys. New exercise programmes will need to employ high resistance and a wide variety of motion to mimic the range occurring in Earth's atmosphere. Most likely, there is hardly a soul that cannot recall K.I.T.T. – the legendary talking supercar from the US television series “Knight Rider”. A hydrogen turbo motor fuels the fantasy vehicle and propels it on the chase for the bad guys at over 300 miles an hour. In the future, cars may be equipped with hydrogen propulsion not just in the movies, but in real life as well. In the transportation and energy sectors, hydrogen is viewed as an eventual alternative to the raw materials of fossil-fuel power, such as coal, petroleum and natural gas. However, for metals like steel, aluminum and magnesium - which are commonly used in automotive and energy technology – hydrogen is not quite ideal. It can make these metals brittle; the ductility of the metal becomes reduced. Its durability deteriorates. This can lead to sudden failure of parts and components. Beside the fuel tank itself, or parts of the fuel cell, but ordinary components like ball bearings could also be affected. These are found not only in the car, but also in almost all industrial machinery. This lightest of the chemical elements permeates the raw materials of which the vehicle is made not only when filling the tank, but also through various manufacturing processes. Hydrogen can infiltrate the metal lattice through corrosion, or during chromium-plating of car parts. Infiltration may likewise occur during welding, milling or pressing. The result is always the same: the material may tear or break without warning. Costly repairs are the consequence. To prevent cracks and breakage in the future, the researchers at the Fraunhofer Institute for Mechanics of Materials IWM in Freiburg are studying hydrogen-induced embrittlement. 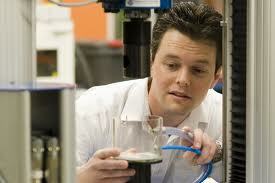 Their objective: to find materials and manufacturing processes that are compatible with hydrogen. “With our new special laboratory, we are investigating how and at which speed hydrogen migrates through a metal. We are able to detect the points at which the element accumulates in the material, and where it doesn't,” says Nicholas Winzer, researcher at IWM. Since the risk potential mostly emanates from the diffusible, and therefore mobile, portion of the hydrogen, it is necessary to separate this from the entire hydrogen content. Researchers can release and simultaneously measure the movable part of the hydrogen by heat treatment, where samples are continuously heated up. In addition, the experts can measure the rate that hydrogen is transported through the metal while simultaneously applying stress to the material samples mechanically. They can determine how the hydrogen in the metal behaves when tension is increased. For this purpose, the scientists use special tensile test equipment that permit simultaneous mechanical loading and infiltration with hydrogen. Next, they determine how resistant the material is. “In industry, components have to withstand the combined forces of temperature, mechanical stress and hydrogen. With the new special laboratory, we can provide the necessary analytical procedures,” as Winzer explains the special feature of the simultaneous tests. The researchers use the results from the laboratory tests for computer simulation, with which they calculate the hydrogen embrittlement in the metals. In doing so, they enlist atomic and FEM simulation to investigate the interaction between hydrogen and metal both on an atomic and a macroscopic scale. “Through the combination of special laboratory and simulation tools, we have found out which materials are suitable for hydrogen, and how manufacturing processes can be improved. With this knowledge, we can support companies from the industry,” says Dr. Wulf Pfeiffer, head of the process and materials analysis business unit at IWM.